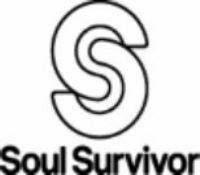 Hey Folks, we're planning to go to Soul Survivor in Peterborough from 17th-21st August this year, and we would love it if you could join us if you are aged 11-18. Price is still to be officially confirmed but we're looking at about £140 per person. This should cover your fee for the event, food for the 5 days, and travel to and from the event. You can pay in instalments each month running up to it, or in one go, whichever suits best. If you are interested, please speak to Belinda before 14th April - the sooner the better so we can get an idea of how many spaces we need to book.